If you ask for recommendations of where to play an escape room in Berlin, chances are you’ll be told to go to THE ROOM. The fact that it’s regularly booked out in spite of being outside the city centre is testament to just how good people think it is. With three games (and a fourth due later this year), it’s a great option for enthusiasts to head out and enjoy a string of high-quality games in a single place. Most people put the Lost Treasure as their clear favourite but, for me, each of their games had its own draw. The Lost Treasure is undoubtedly the most impressive, with its stunning set and sense of theatre. However, if you like rooms with a horror-element, The Beast of Berlin may be the game for you, and I personally thoroughly enjoyed Go West, with its mix of humour, nostalgia and history. Whatever your particular preferences, there’s no doubt in my mind that, with its selection of top quality games, this is – by quite some margin – the strongest venue in the city. Creating games set in the recent past can be a tough task. Head back to the 1920s or earlier and you can fill the space with period furniture and some ornamental pieces, and the job is pretty much done. Doing the same in the 60s or 70s often results in the room just looking a bit dated. That’s partly because it’s hard (or disproportionately expensive) to find well cared-for pieces of more recent furniture, but it’s also because it’s in living memory, and so it ends up looking like something from an old TV show. In Go West, they’ve managed to sidestep that pretty impressively. When you first enter the game, yes, it looks tired, but that’s the point. This isn’t an environment that should be alluring – the whole point of the game is that you want to run away from it. In contrast, all references to the West have been made as attractive as possible, taking advantage of things that have stood the test of time. Even better, they’ve gone to the trouble of getting well preserved examples so that the illusion of being back in the 80s isn’t broken. There’s a real sense of journey in this game, with the experience becoming visually more attractive as you progress towards your goal. That’s backed up by some fun exploration in keeping with the theme, which was the linchpin of the experience for me. I increasingly think that exploration is a key aspect of escape rooms but, here more than most, it was critical to the game – when you’re fleeing across a border, the sense of the unknown is important. The puzzles are most definitely on the traditional side, with several of them feeling very much like they were shoehorned into the room. Impressively for a game that’s around four years old, there were plenty of fun puzzles. Given how enjoyable this game is by current standards, I can understand why people were blown away when it first opened. While the puzzles may be on the traditional side, they are all absolutely logical, and my only – and quite minor – complaint was with one that relied on a fairly thorough search. We were fortunate enough to find all the items from the set on our first pass but, if we’d missed even one of them, it would have meant a painstaking search of our environment with very little chance for reward. Throughout the game, the overwhelming sense I got was one of fun. They seemed to have taken the chance at every opportunity to inject something that definitely wasn’t silliness, and probably wasn’t even frivolity, but that ensured I had a smile on my face from start to finish. The audio, the props, the puzzles… everything was filled with humour, misdirection or surprise. Time and time again, they’d put things in that made me happy, and perhaps that was the real beauty of this game. They’d captured some hint of the joy that should accompany someone who, like us, was lucky enough to Go West. Considering that I’d describe The Beast of Berlin as a horror game, it starts off in a surprisingly innocuous detective office. That may sound a bit dull but, rest assured, it’s beautifully presented in a 1920s style. While I’m no expert on the era, it felt utterly authentic, with countless props dotted around the room to naturally convey the scene. In fact, there’s a level of detail throughout the game that shows a big step up from Go West. The space looks properly lived in, with plenty of items that serve no purpose other than to help with immersion. It’s carefully created, though, so you shouldn’t worry about red herrings – pretty much everything that felt important was, and the things that didn’t weren’t. 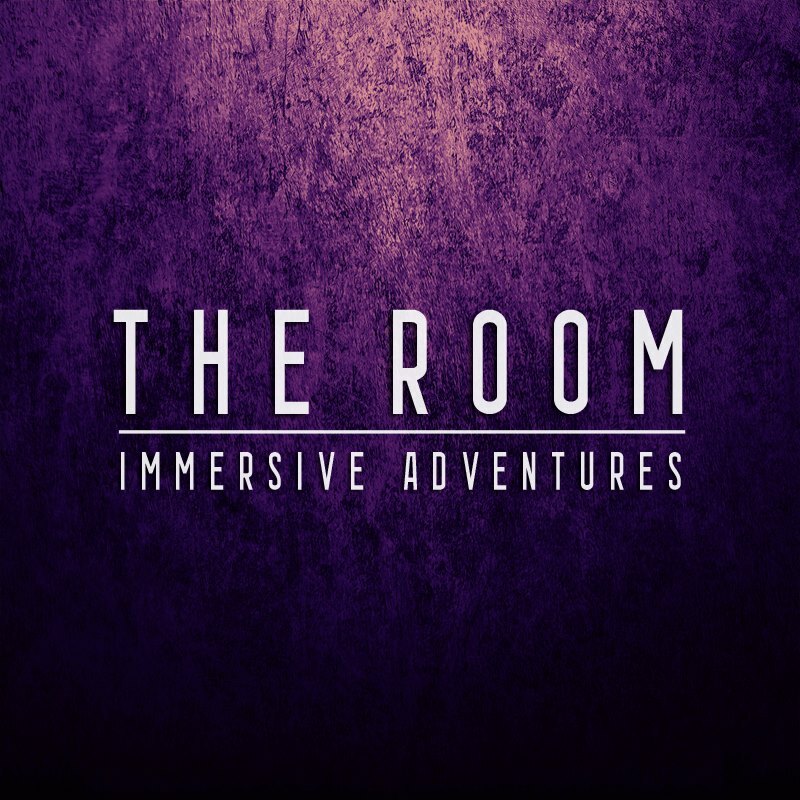 Lovers of horror will get their fix eventually – the room absolutely delivers what you would expect, venturing heavily into the macabre and occult. While that never came close to unsettling me – and it certainly isn’t a game that dabbles in cheap jump scares – be warned that, if you’re the sort of person who finds Doctor Who scary, you’re likely to be uncomfortable at times here. Speaking of working together, there’s a fair amount of searching in this game, including one puzzle where you’ll need to be fairly diligent to collect the full set of items. Fortunately, we got everything required to complete it before our patience ran out but, if you’re the sort of team that utterly loathes searching, then prepare yourself for a potentially tedious section. In my opinion, this game focused more on imparting the feeling of the environment than on conveying a story or mission. That resulted in me not feeling a real excitement about moving forward for much of the experience beyond the sense of completing individual puzzles. When it did get going, however, the combination of visual and audio effects worked well to impart a dramatic, frantic finale that was worth the wait. My one complaint about the ending was that it wasn’t quite as clear cut as I’d have liked. As we escaped from the room, we weren’t certain that there wouldn’t be one last challenge to overcome, an uncertainty that tempered that final adrenaline rush just a little. In some sense, this game was the reason we’d come to Berlin: the mythical Lost Treasure, a game that’s spoken about in hushed tones in enthusiast circles everywhere. Its reputation preceded it, but I’d tried very hard not to put it up on a pedestal and instead treat it as just another game. It’s not just another game, though, and that’s obvious from the moment you’re sent off into the unknown. They immediately plunge you into darkness, leaving you wondering what lies ahead. The first answer is small, dark spaces. I suspect most people will fit through the spaces in the game, but expect to feel fairly confined and, if you’ve got even a hint of claustrophobia, this will definitely bring it to the surface. It’s not just the beginning either – on several occasions during the experience I found myself crawling through darkened passageways to the point where it started to feel like it was hampering the action rather than adding to it. It’s clear what they’re trying to do, though: convey a sense of exploration while providing a disorienting experience that breaks your attachment to the outside world. For the entire time in the game, I didn’t think beyond the confines of the room – I forgot about how we’d come in and thought only about the treasures arranged in front of me. As you walk out of that initial passageway into the light of the game, you’re presented with an Aladdin’s cave to explore, filled with trinkets from Alexander Humboldt’s voyages. The fantastic contrast with the sensory deprivation of the passageway makes the central atrium of the game all the more overwhelming. It’s carefully lit to give a feeling of an underground space without being dingy. In fact, the use of lighting throughout the experience is impressive. You have all the light you need (except when they deliberately plunge you into darkness), and there’s clever illumination to guide and encourage you. The exception to that is an “intelligent” torch which they provide before you enter the game. I assume it’s designed to help those with poor low-light vision while not giving help for the pitch-black stages, but I found it more frustrating to use it than not. I’d recommend putting it to one side and forgetting about it. Lost Treasure is another game full of solid puzzles that makes good use of the theme to hide them within the decor. It was the one game at THE ROOM where we had to resort to clues but, on each occasion, it felt like we should have been able to progress without help. These puzzles were probably technically the best of the three games, although I still felt they didn’t meet the same standards as the general experience. One in particular felt like a classic trope that didn’t fit within such a beautifully constructed game. Our need for clues did expose one flaw in the experience that really surprised me: the hints they gave us were hard to hear over the background audio track and really didn’t transmit well outside the central atrium. This is a real shame, because the cluing system is beautifully integrated into the experience to the point where I’m sure some teams won’t even know they’re receiving hints. When it worked, it was a beautiful, subtle way of pushing us in the right direction without just spelling out the answer. When it didn’t, though, we ended up being left for what seemed like an age telling each other fairly loudly that we hadn’t heard the last piece of audio. Eventually, we gave up and just asked them to repeat it. It may seem a minor point, but that broke the immersion for me – when you’re meant to feel abandoned underground, having to talk to the GM takes away some of the magic. Fortunately not for long, however, because there’s a stunning finale to this game which sees you finish the quest in true Indiana Jones style, with some cool effects that help cement the feeling that this was more of an adventure than an escape room. This was the first every Escape Room I played. First and best in my humble opinion. They hadn’t finished Humboldt so still have that to look forward to. Is it worth it? I think it’s better than playing two weaker games that’s for sure. 45 Euros per person is expensive and I’d probably resist paying that much if I could help it. I don’t think it would spoiled by a third person so I would generally recommend to take a third person with you. That said, if you aren’t likely to get a third then I’d still pay the €45pp and play either Go West or Humboldt. Everyone will tell you the latter but I really enjoyed Go West – partly because I travelled extensively in Eastern Europe during the cold war and that brought the story home to me.